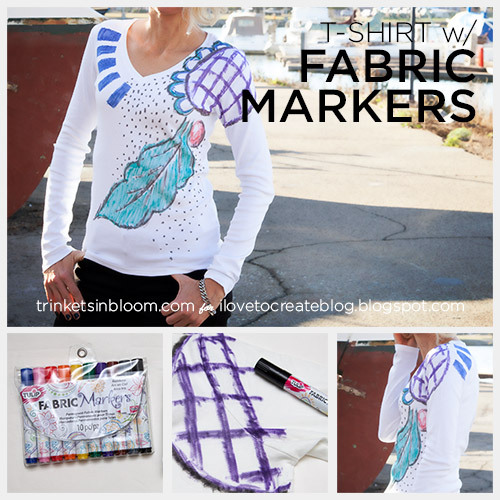 Creating unique artistic designs on t-shirts is easy and fun when you use Tulip’s Brush Tip Fabric Markers. With the thicker markers you can control the width of your strokes to create more painterly brush strokes. 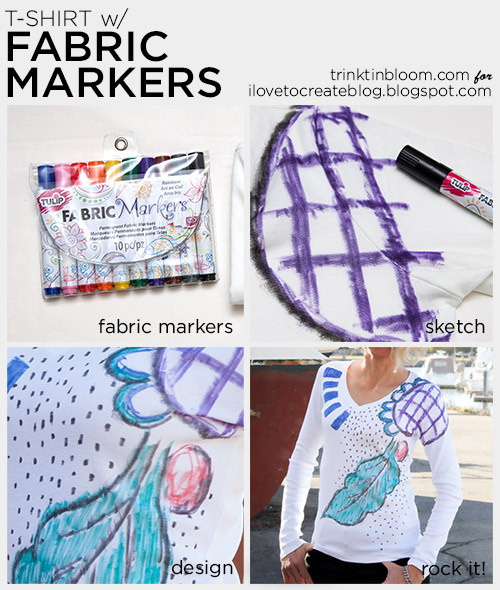 Get creative and have fun with your designs! Let’s get started! 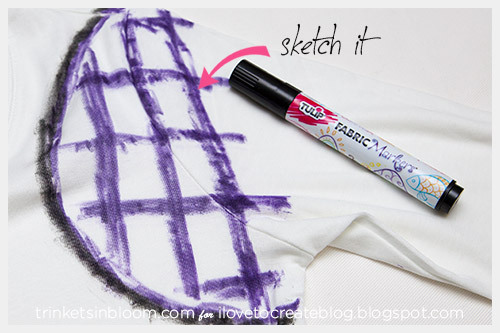 Layout your t-shirt on a flat surface and put paper or cardboard inside your t-shirt to keep any of the ink from bleeding through. Have fun with this. 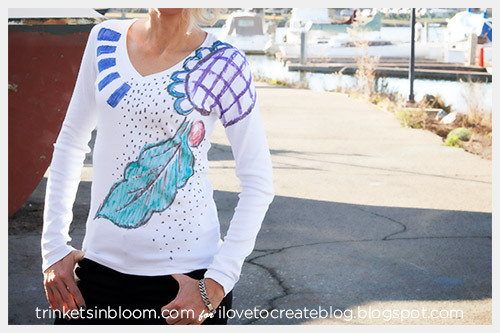 With the thicker markers you can create bigger strokes and fill in more areas with color. 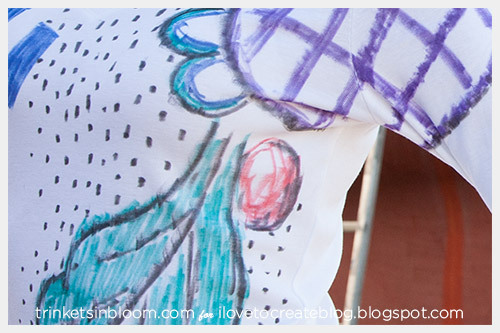 You can also create depth with shading and your strokes to make the colors lighter or darker. I was inspired to work bigger and a little more abstract. Sketchy lines are really popular right now so go with it and have fun! Don't forget the back side! 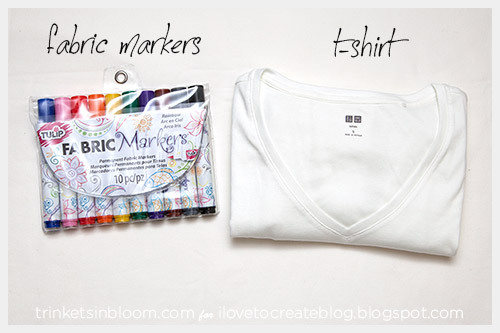 I’m a huge fan of these fabric markers. The colors stay really true and last after washing. I also have to admit that they are just great to have around, I’ve used them for so many things like writing my daughter’s name in her jackets for school, touching up bleach spots on black clothes. You’d be surprised how useful they are. Pin this graphic to make it later! 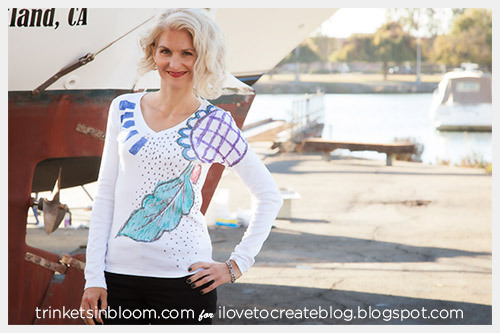 For more fab fashion DIY’s check out my blog Trinkets in Bloom.